i remember seeing this in wired a bit ago, but a friend (who’s working at yohji yamamoto in nyc, w00t!) just passed along an article about the same cornell crocheting professor published in the nytimes today. (come on new york, that news is soooo last month.) :) daina taimina is a heroine for crafty mathematicians everywhere! la dee dah, cmliu googles away. not the knitting you know exhibit in washington dc this summer. maybe i can check it out if i head home sometime before september. i want that copper camisole. bleed, baby, bleed. 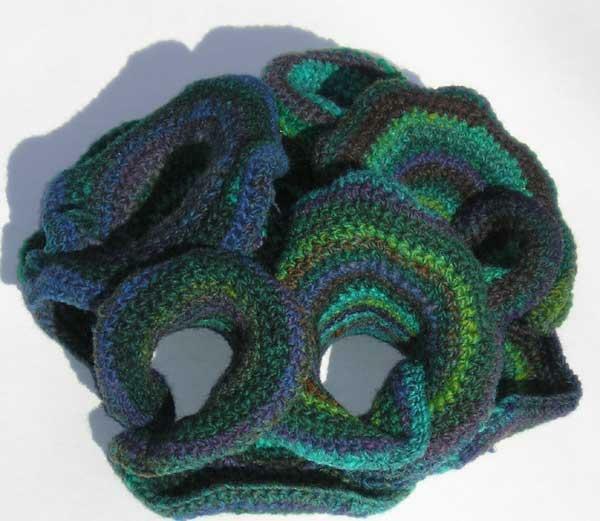 >ken ferry and his friends have been on this since at least 2003: the second klein bottle hat.